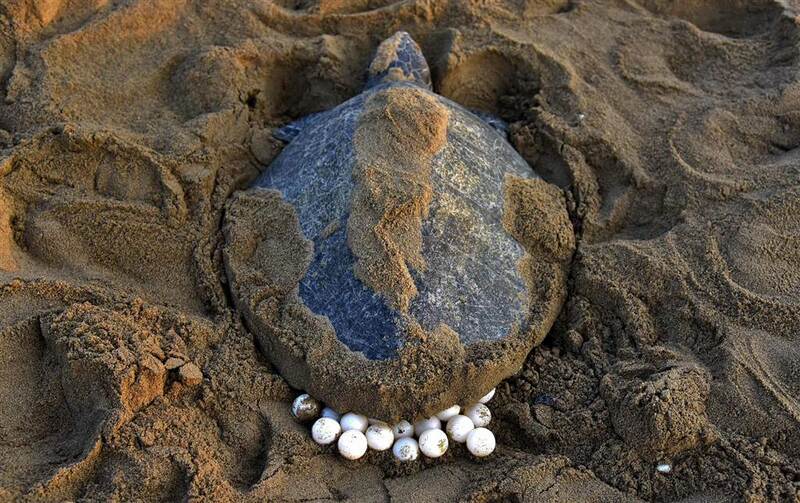 An olive ridley turtle lays her eggs in the sand on India’s Rushikulya beach early Feb. 16. Thousands of the sea turtles started to come ashore in the last few days from the Bay of Bengal to lay their eggs on the beach, which is one of the three mass nesting sites in the Indian coastal state of Orissa. The hatchlings that survive will return to the same beach to lay their eggs when they are mature adults.